With a new year comes new images for my MDT servers. At TechDays in Ottawa, I presented the MDT session in the client track on Day 1. Afterwards, I had some great discussions with a few people from major Canadian government offices. One of my challenges has been how to add extra software to an image which doesn’t have a great silent install. What I had been doing was building the machine using MDT, then when it was done, adding unfriendly software, patches, etc. to the build after. This is a pain as you have to then Sysprep the image, boot into a Windows PE environment then capture the image using ImageX. The people I met spend the majority of their day building images. For me, I do this a couple of times of year. They had some great experiences which they shared and one of those things was a pause task sequence routine they are using. What it is a call to pause the machine sequence build. 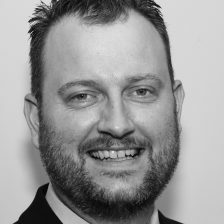 Some of them are using a VBscript which essential calls notepad and leaves it open while you do all the extra work you need to do. 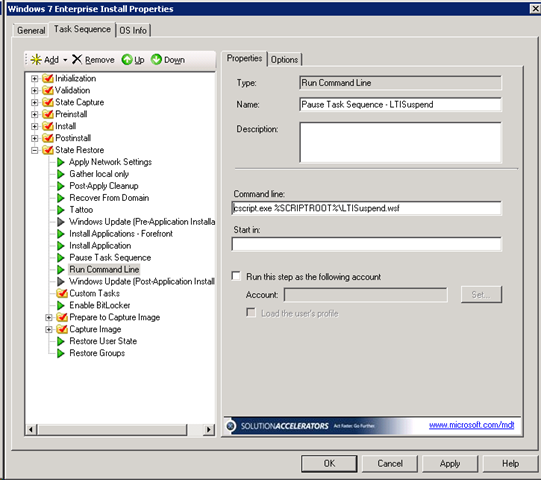 When you close notepad, MDT continues on with its task sequence. 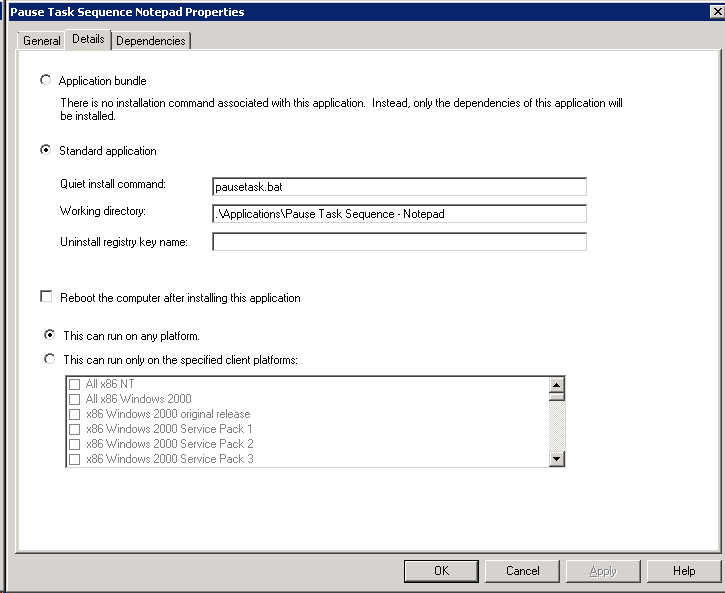 Also new to MDT 2010 is a script called LTISuspend.wsf. 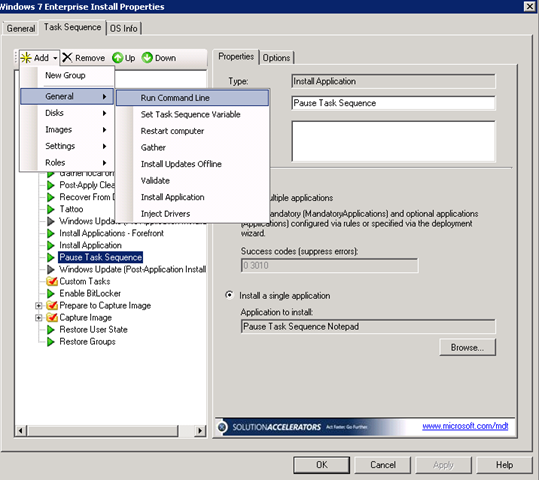 Then, I saved it in a folder and created a new application called Pause Task Sequence – Notepad. 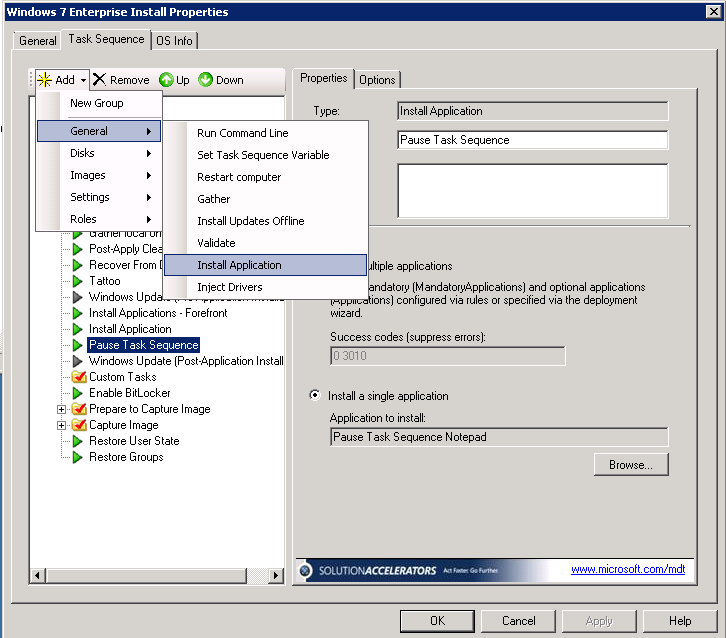 Here is a snapshot of the properties of the application. Next thing you want to do is ensure that the pause task runs on your fresh builds. 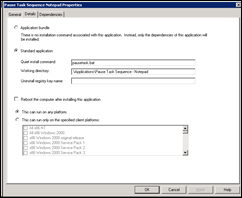 On my Windows 7 install task (and I should note, this works with all versions of Windows you can deploy with MDT, even Windows XP), I added an install application task to my task sequence. To do this, click Add and general and Install Application. I add the new task sequence right after I install my applications. As long as I keep notepad open, the task sequence pauses to let me do other things. I was able to install some custom line of business applications to my builds yesterday and install Windows Updates prior to capturing the image. 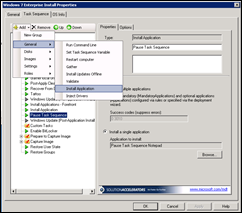 You can even reboot the computer and as long as you don’t manually close notepad, the computer reboots and notepad pops back up, continuing to pause the MDT task sequence. 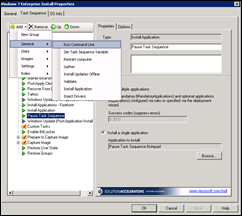 If you want to use the new method of calling LTISuspend.wsf in MDT 2010 then add a command line task instead of an install application task. Then when this one executes, the LTI process suspends, you do what ever you need to do and then when you are ready to continue on, you click a desktop shortcut to resume the process. 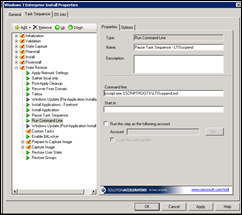 While there is a capture image task sequence now part of MDT 2010 as well, capturing the image while building the computer is the preferred option.